Don Juan Tangoa Paima was born on 29 March 1951 in the Neiva region of Cali, Colombia. At the age of 4 he immigrated to Iquitos, Peru with his family; they lived with his maternal grandparents. His grandfather was a great healer of that time, as were his brothers. 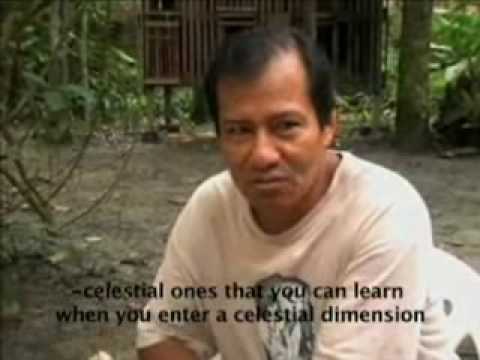 Juan first drank Ayahuasca at the age of 13; he now has some 48 years of experience. The first few times he drank it had no effect; later he drank with another curandero ( healer ) and experienced very strong effects having drunk only a fraction of what he had drunk before. He saw his whole life, from his birth to his death. The experience of drinking Ayahuasca in a ceremony depends heavily on the power of the curandero. Don Juan has been trained as a curandero since adolescence and by now has healed countless people. He has a lot of experience in treating all kinds of illnesses. He is familiar with a great deal of the Amazon region, as well as with the Andes, and not only in Peru. He has studied and learned about Ayahuasca with many indigenous peoples and with various teachers, so his knowledge and power incorporate those of all these others as well. Don Juan has lived and traveled in many places around the world and has great experience of life. He returned to live in Iquitos, Peru, because that is where he feels most at home and wanted to raise his children. Since 1990 he has a house near the airport of Iquitos. His family is now very large, with many grandchildren. He is also visited regularly by his onetime patients and their friends, who are referred to Don Juan for visiting, studying and healing. Before I had found Don Juan I had been living in Iquitos for almost 2 years looking for a way to truly heal and find the right teacher to learn from. I had worked with over 12 different local curanderos from around the area and had fully immersed myself into the culture. I learned the hard way that not all use this medicine with pure intentions. For one year I had been working with an esteemed curandero who was loved by many from abroad but after time I had began to gather a different view from him. When I began challenging him on things that I could not morally accept, I was intentionally led astray and left seriously ill with no help. A trusted friend who had been cured of a serious cancer by Don Juan had urged me to visit him, referring to him as one of the only “true” healers she knew. I stumbled wearily into Don Juan’s home and was given a thorough consultation about his teaching and the next day participated in ceremony. It was discovered that practicing methods of my previous teacher had left my body in pretty bad shape, worse than it had ever been. Everything from my kidneys, liver, intestines, and my stomach was damaged. The cause being the incorrect diet and use of various plants prescribed to me by my previous teacher. I had been in a lot of pain and was literally fearing for my life. Don Juan assured me that he would be able to cure my illness if I could follow his strict guidance and that my poor financial situation wasn’t a concern. I was generously taken under his wing and felt welcomed by him and his family. My complicated issues did require some time to fully treat though was an incredible success. Throughout all of the chaos going in my personal life at the time on top of the severity of my situation I was provided safe asylum under his care. I can certainly say that Don Juan and his dedication to this practice has saved my life and feel that encountering him was destined to be. I learned more in the 6 months working with him than I had in the previous 18 months all together. I had become part of the family. Don Juan proved to be dedicated to true healing and showed extraordinary morals not only surrounding his methods of practice but through his views of family, love and the purpose of life. My life has forever changed through my time with him and I will be sure to return to continue learning. Finding the right teacher or healer can be difficult though you can be assured you are working with one of the very best when coming to Yacu Puma. I came to Juan’s center with expectations and preconceived ideas on spirituality and what I might be doing there. I came there with some background on many things concerning his work just to find out it’s not quite what I have expected, it was much more real than anything I have ever experienced. From the beginning, before we even started the process of the ceremonies, the feeling I got from just living in the authentic environment and being deeply intimate with the spirit of the jungle, already put me in a very good state of mind. It is really life expressing itself beautifully and so I really felt the shamanic experience surrounding me all the time taking care and keeping an eye on me. The diet and the ceremonies were tremendously powerful yet, I never felt I was getting lost, thanks to the true traditional shamanic guidance of Juan. Juan is truly the real deal when it comes to spirituality and its synthesis with the everyday reality. Words cannot describe the amazing environment Juan created for people to retreat and experience a true healing and merging with nature. It simply is everywhere. I have learned so much and was able to finally overcome some of my greatest fears, but it was necessary for me to trust the medicine and the process. Today I really recommend it to anyone who would like to experience real spirituality and heal things which are deep and even deeper then we are usually conscious of, because that’s the power of the truth I have encountered over there. It stripped me up, penetrated my blocks and it hit me exactly on the spot. Juan is really an amazing person. I haven’t met anyone of his kind and sure am planning to come back to Yacu Puma again. My time at Yaca Puma was powerful, pivotal, and deeply inspiring. Even though it has been months since I’ve returned home, I am still digesting and integrating the insights I gained during my stay there. Thank you, Don Juan, for being such a kind-hearted man and powerful healer. With your decades of experience, refined skillset, and pure intentions, you have created a beautiful, safe center for the medicine to work it’s healing within. I cannot thank you enough for doing so. I visited Yacu Puma for the first time in January 2016. I came here because I was curious and I thought there must be more to life then what we experience daily. I was also looking for direction in my life. I had over 10 ceremonies at Yacu Puma. The ceremonies were sometimes pretty intense and difficult. Nevertheless I gained so much from it: It gave me a path, a direction in life. But most importantly I value life immensely. Before Ayahuasca, I took it for granted that I have food, that I can breathe and walk. I am much more happier on a daily basis than I was before. I could escape the prison of thoughts and live in the moment. I also learned how to handle extreme difficult times. This is really important as we all will experience some hardships in our lives. Ayahuasca and the system of the Shaman Don Juan learned me many useful tools and they make me more skilled to deal and solve any problems in life. Don Juan had always an ear for my questions and concerns and did an excellent job. His apprentice Ohad gave me valuable advice which helped me immensely during ceremonies. I love the delicious, fresh and healthy food the family always prepared. I recommend Don Juan to my friends because he is an extraordinary healer who works with good intentions and his only objective is healing and protecting people. It wasn’t easy to find a skilled shaman who works with the light. I’m going to visit Yacu Puma again. My boyfriend and I arrived in Iquitos knowing that we wanted to take part in Ayahuasca ceremonies but had no idea where to look, and were a little overwhelmed with the options of retreats online. We seemed to find Yacu Puma almost by chance, and mainly chose to partake in ceremonies there as we weren’t restricted to having to stay or commit for a certain amount of time. The house was a little tricky to find, and at first we weren’t even sure we were at the right place (I guess the maloka in the garden should have been a clue!) as there were no signs to advertise it, but we were so glad we persevered. The experience felt very ‘authentic’ and without pretension, and our first ceremony was just 3 foreigners and several locals. Importantly, we also felt as though we were in a safe place and were in good hands with Don Juan and his apprentice, Jolane. Don Juan has such a wealth of experience as a cuandero, and a very interesting life story. It may have been a little trickier were Jolane not there as she was able to explain everything to us (neither of us speak Spanish very well), and I believe it was our good luck she was there when we first arrived. However Don Juan has a reassuring presence, and I’m sure we would have somehow found a way through the language barrier. Also, our emails were swiftly answered whenever we had questions which was another reassurance. After the ceremonies, we were invited to stay for the night and join in with a late breakfast of delicious fish and vegetables prepared at the house by Don Juan’s family, according to la dieta. It was also a good opportunity to reflect upon our experience in peaceful surroundings. Unfortunately we only had enough time in Iquitos to attend 2 ceremonies, however I fully intend to return to take Ayahuasca and to continue the journey with Don Juan and Jolane. I had a calling to go the Amazon for healing, after struggling with Lyme disease and after seeing the Documentary “Ayahuasca Diaries”. I was very apprehensive to drink Ayahuasca, and my body and system had become very weak due to malabsorption and chronic infection. However, seeing as I was there had to put my faith in the process. Don Juan kept saying “Ayahuasca and God will clean your body and clean your spirit”. During my four months with the Maestro, we had a ceremony twice per week and the diet was very clean and strict. He recommended I drink special medicinal teas from his garden also, to help clean my blood, and support my organs and liver. The medicine was beyond words. I had the opportunity to explore repressed subconscious memories, I went through processes of grief, forgiveness, as well “downloads” of cosmic wisdom. I left Peru with a feeling of peace in my heart that I had never really had before. I stayed with the Maestro and his large extended family who live in simple conditions, however the thing that really struck me about Juan and his wife Leonor was the love and beautiful energy they emanate at all times. I highly recommend Yacu Puma as a place to stay and drink, particularly for psychological and spiritual issues and/ or trauma because you are in safe hands. You are with a true master curandero, with a pure heart and intention toward you. to acquire knowledge and virtues in the traditional way of the Curanderos. I cannot stress enough how important, when dealing with sacred plants (or as they are referred to , spirit master plants/teachers) to have a good, experienced and reliable teacher. These plants are no game to play, and further more they have what seems like an infinite depth and spectrum of experience. Note that the stronger the Curandero, the deeper one can enter into the experience, and the deeper one goes and is able to come back by help of the shaman, the more one gains. I have to say, I absolutely got what i was seeking for, and more than that, Juan showed me how to diet and work with the plants, especially Ayahuasca, gaining intuition followed by visions and how to under stand them. I see and know how easy it is to use these plants in a manipulative way, and how inexperience or poor guidance can make one very confused about his experience, with don Juan I only felt the utmost confidence of his tradition carrying us safely in a very quivering and profound journey. I thank don Juan and sure many more do, since I see how he accompanies each patient in his own journey with lots of care and patience during the ceremonies. being with him was the first time I felt someone is able to clearly see my personal trappings, triggers, and possible pathways of change. This place is for real, I found myself staying for a month and a half in the Yacu Puma center. The food was simple and natural but taste good and fresh every day. The ceremonies were beautiful, sacred, but without the tourist attraction, no dress code and no strange requests and gestures. Don Juan’s house is the place, I’ve been to some places in the area before and found myself going back to Yacu Puma and to Don Juan ceremonies, I fell in love with his amazing Icarus, still sing them to myself after a few months back home. Al vivir mi experiencia como aventurero limeño me dí con la sorpresa que la amazonia esconde misterios del cual a traves de Yacu Puma Center pude conocer, Grande Yacu. Puedo recomendar la estancia en el Centro Yacu Puma del Maestro Don Juan con el y su familia. He quedado ahí en cinco oportunidades, cada una entre dos semanas y dos meses y medio, desde el año 2006. Don Juan es un gran curandero y persona. Sus ceremonias son realmente sanadoras y autenticas. Con su familia reciben a gente de todos los partes del mundo con mucho cariño. La comida servida es fresca y sana, incluso de la dieta es tradicional. La localización es accesible y se puede conocer la región con facilidad. Muy buen lugar para disfrutar tus vacaciones, buen trato, buen clima, la atención es adecuada. la comida es excelente. Un lugar tranquilo, desetresante, para sañir de la rutina, rodeado de animales y con vista a la naturaleza. Es un lugar hermoso. Si uno vive en la ciudad y está cansado del ritmo del trabajo y el estrés que la misma vida te genera, el Yacu Puma Center es el lugar indicado para que uno se tome un verdadero respiro en los mismos pulmones del mundo: la amazonia peruana. En este lugar uno se podrá desconectar al 100% de su vida cotidiana y vivir experiencias inolvidables. El paisaje que podrán ver es espectacular y lo dejará con la boca abierta. Es un lugar totalmente recomendable para las personas que les guste las experiencias con la naturaleza. Ojo, hay que entender que no habrá muchas comodidades, pues no es un hotel de 5 estrellas, es un lugar para vivir una experiencia directa con la selva. Yacu Puma Center es el lugar ideal para que las personas se puedan desestrezar, debido a que se encuentra ubicado en el medio de la naturaleza y rodeados de animales en cautiverio y que se encuentran en el alrededor del área, es muy bonito! El luga es bueno para tener contacto con la anturaleza es ideal para olvidarse del ajetreo de la ciudad y tener o pasar un momento lindo con animales y la naturalexza a mis primos les encanto visitar el lugar. El Yacu Puma Center es el lugar idóneo para que las personas se puedan desestrezar, debido a que se encuentra ubicado en el medio de la naturaleza y rodeados de animales en cautiverio y que se encuentran en el alrededor del área. El paisaje es especatcular en esta area es como estar en la slocaciobnes donde se filmo avatar. El lugar muy espiritual y se siente buena vibracion al llegar te hacen sanaciones lavados espirituales y una onda espiritual muy amistosa , lo recomiendo mucho.